Textiles, shoes, toys, electronics, kitchen utensils, car accessories, detergents and other products. The field of your business does not matter. Our QSL team that can handle requirements throughout all segments of consumer goods is here for you to help you comply with all legislation standards at product production, sale, import or export. We are knowledgeable in Czech and European regulations and we will ensure that your products are in compliance with valid technical standards and quality minimum. Use our knowledge of local and international retail environment. And use our long term experience with launching private labels. We provide all tests and certificates required for import and sale of consumer goods. We can control your existing technical documentation (whether you actually do not pay for tests that are not necessary). We provide consultancy in cases of increased quality requirements. We can control labels and manuals so that they are in compliance with Czech and Slovak legislation. We can test quality of products that you already sell. We can help you acquire specific certificated required for sale of selected products (e.g. Atest 8SD for car accessories, comply with the regulation No. 84/2001 Coll. on products for children under 3 years of age). Many known companies use our labelling of goods. Will you join? Legislative consultancy (REACH regulations (1906/2007), CLP (1272/2008), Detergents (648/2004), Biocides (528/2012)). Labelling of products for sale and distribution. Processing, check and translation of safety data sheets including expert review (English and German). Full service while introducing chemical substances onto market and for sale. Assistance when elaborating written rules for handling chemical substances. 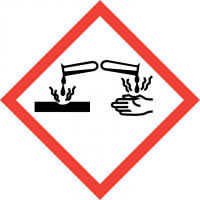 Training on chemical legislation, handling chemical substances (generally and specifically as your company requires). Audit of handling chemical substances at your site. We cooperate with QSL within the project for increasing effectivity of our processes – improvement of product quality, implementation of new laboratory methods, provision of analyses, etc.. As for QSL, we appreciate their very fast and quality technical and legal service, which we can 100% rely on. As a chain with many stores we need to focus on our customers and keep all legal regulations. Naturally, we do not want to pay any penalties. So we are glad that we found QSL as a reliable partner for Czech and Slovak markets. We regularly monitor current legislation in the sphere of product labelling and we provide information about news free of charge. We guarantee correctness of labelling. We are also insured for CZK 5 million. Registration into the Business Register: file No. C 198641 maintained by the Municipal Court in Prague.